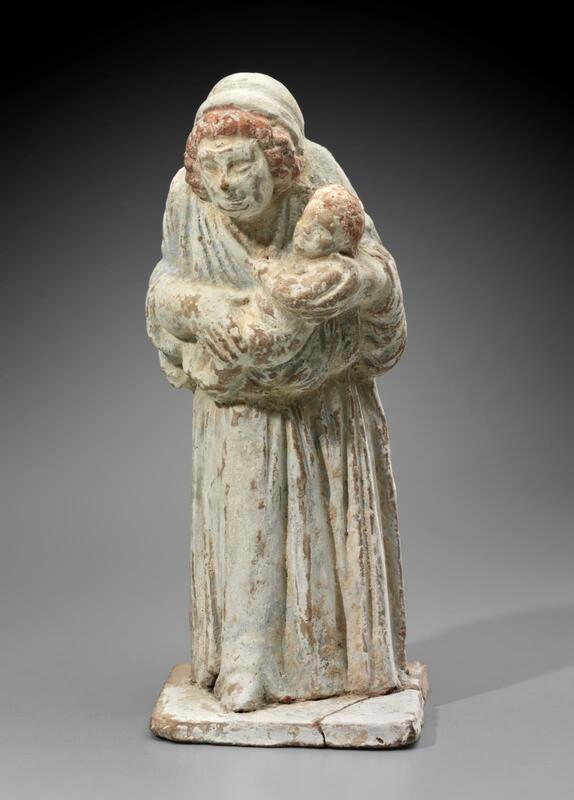 Statuette of an old nurse holding a baby. White on flesh and cap of nurse, as well as on base; red on hair of nurse and baby; pale blue on chiton. The affectionate nurse was a character in the “New Comedy” of Menander, and his plays probably inspired figures like this.